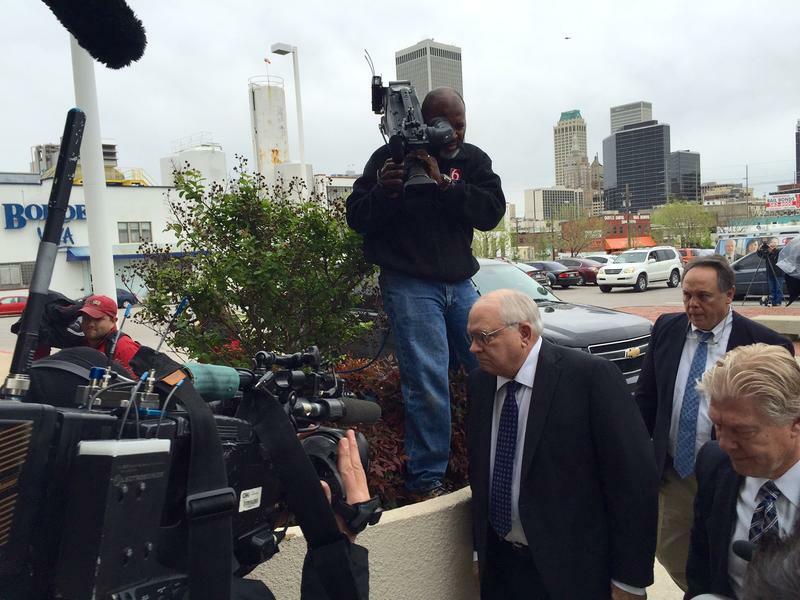 Tulsa County Sheriff's reserve deputy Robert Bates enters the Tulsa County Jail Tuesday. The Tulsa County Sheriff's Office reserve deputy was released after posting bond. He didn't comment to the media. He faces up to four years in prison if convicted. Authorities say 44-year-old Eric Harris tried to sell an illegal gun to an undercover officer. They say Bates accidentally shot Harris after confusing his stun gun and handgun. Tulsa County Sheriff's Captain Bill McKelvey said Bates had weapons in both hands at the time of the shooting. "Then they deploy their Taser, or whatever it may be," McKelvey said. "This particular time, Mr. Bates believed that he had transitioned to a Taser when he shot Mr. Harris." Tulsa police officer Jim Clark investigated the shooting at the request of the Sheriff's Office, and said Bates' actions were consistent with Taser training. "His gun and taser are approximately the same weight," Clark said. "Both have lasers. Bates shot only once instead of double-tapping, as police are trained to do. The gun jumped from his grasp because he was not expecting recoil, and he said, 'I shot him, I'm sorry,'." During a news conference Monday afternoon with the Harris family, attorney Donald Smolen said the video shows Bates with a yellow Taser strapped to his chest, with a .357 revolver in his right hand as he stands over Harris. "There is absolutely no way, if Mr. Bates had been trained at all, which I believe will be reflected ultimately through the lack of records to substantiate his training, that an officer who was trained would never get these two weapons confused," Smolen said. The Tulsa County Sheriff's Office reserve deputy who admitted on video to shooting a man being detained by police has been charged with second degree manslaughter. Online court records indicate 73-year-old Robert Charles Bates faces one count of second degree manslaughter in the shooting death of Eric Harris. “Mr. Bates is charged with Second-Degree Manslaughter involving culpable negligence. Oklahoma law defines culpable negligence as ‘the omission to do something which a reasonably careful person would do, or the lack of the usual ordinary care and caution in the performance of an act usually and ordinarily exercised by a person under similar circumstances and conditions,’” District Attorney Steve Kunzweiler said in the press release. “The defendant is presumed to be innocent under the law but we will be prepared to present evidence at future court hearings." 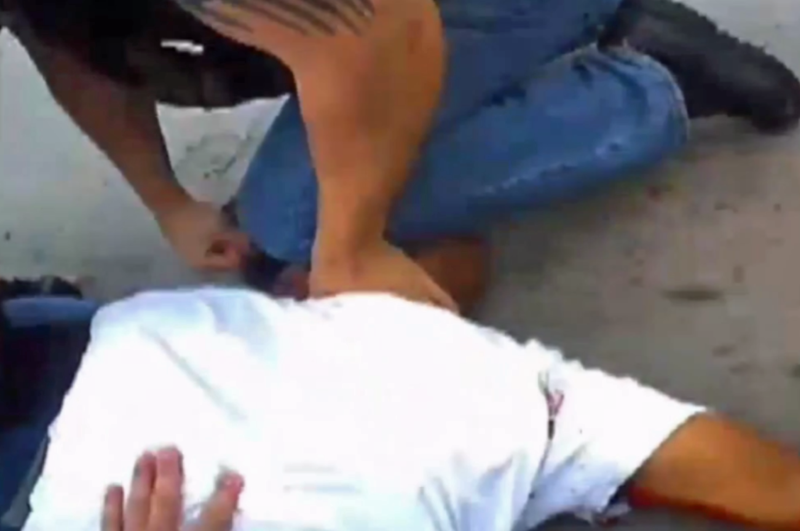 Authorities have released video showing the killing of a black suspect by a white reserve sheriff's deputy during a recent arrest in Tulsa. The video of the April 2 incident shows a Tulsa County deputy chase and tackle 44-year-old Eric Harris, whom they accuse of trying to sell an illegal gun to an undercover officer. While the deputy is subduing Harris on the ground, a gunshot rings out and a man says, "Oh, I shot him. I'm sorry." Authorities say the shooter was 73-year-old reserve deputy Robert Bates, and that he meant to use his stun gun. Harris screams, "He shot me. Oh my God," and a deputy replies: "You f---ing ran. Shut the f--- up." Harris then says he's losing his breath. The deputy replies, "F--- your breath." The Tulsa World reports that Tulsa Police sergeant Jim Clark investigated the incident at the request of the Sheriff's Office, and determined no crime was committed when the deputy fired his .38-caliber pistol instead of the Taser he meant to deploy. Narrative in the report states the gunshot wound to the right upper back/shoulder of Harris wasn’t bleeding much, appearing to have clotted by the time firefighters arrived and tried to evaluate him. To better check vital signs, a deputy laid down Harris, who was sitting upright, and took off his handcuffs. Harris’ ankles then were cuffed and firefighters again tried to assess him. “The (patient) was very combative physically, and we were unable to get him to hold still long enough to get any accurate vitals,” the report reads. The report further states that firefighters tried to communicate with Harris but he “ignored most all questions,” the only information gleaned was his name from a credit card and an age he told them. He soon was transferred to EMSA’s care at which point the narrative indicates his condition began to deteriorate. “He became unresponsive and eventually went into cardiac arrest,” according to the report, which also states firefighters began to perform cardio-pulmonary resuscitation. But Dan Smolen, an attorney for Harris' family, called the news conference "premature and ill-advised." There are two critical things to take from the report that are inconsistent with what the Sheriff’s Office has released, Smolen said. The first, he noted, is that deputies couldn’t have been rendering aid to Harris as he sat with his hands cuffed behind his back. Asked if the clotting of the wound was indicative of receiving treatment, Smolen said the question would be best answered by a doctor. Sunday night Tulsa police clarified Bates is not affiliated in any way with the Tulsa Police Department, nor is there any relationship between the TPD and the Tulsa County Sheriff's Office. They also said Jim Clark was investigating the incident independently of the TPD. Tulsa police say several social media posts about the shooting have referenced the department, and not the sheriff's office. The release comes less than a week after a video showing a South Carolina police officer shooting a black man detained during a traffic stop raised significant questions about police tactics. 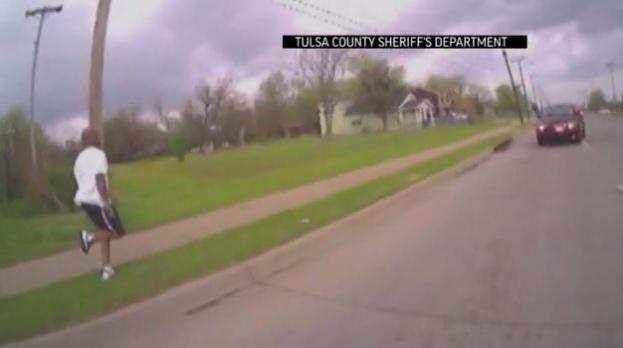 A man can be heard apologizing and admitting to shooting a man in a video released at the weekend that documents the killing of a black suspect by a white reserve sheriff’s deputy in Tulsa, Oklahoma. 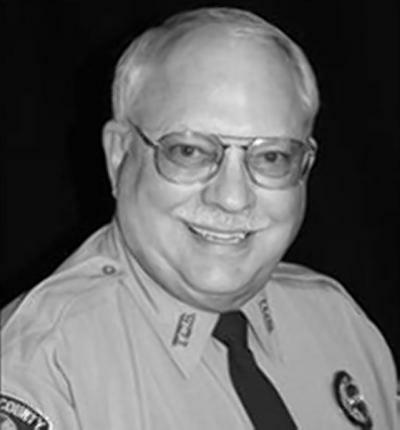 Police have said that the 73-year-old Tulsa County reserve deputy Robert Bates thought he was holding a stun gun, not his handgun, when he fired at 44-year-old Eric Harris in the April 2 incident. More than 100 Tulsa police vehicles have yet to be outfitted with dashboard cameras four years after the process of installing them began. 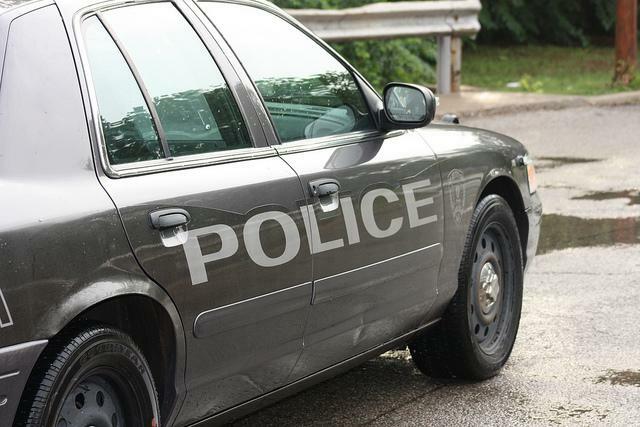 The project began in 2010 after officials agreed to pay more than $4 million to purchase and install cameras in all police vehicles as part of the settlement of a long-running racial discrimination lawsuit against the city. Oklahoma City police will take part in a pilot program in which officers will wear body cameras. Police Chief Bill Citty says 100 cameras will be used by officers on patrol for one year. The program will then be evaluated to determine if an how the cameras would be used by all the city's officers. The cameras are worn on a patrol officer's body and the officer turns the camera on during an encounter such as a traffic stop or an investigation. The video is then stored as evidence.